Venture Corporation - DBS Research 2018-08-06: Tailwinds From Trade Shifts? Venture Corporation - Tailwinds From Trade Shifts? 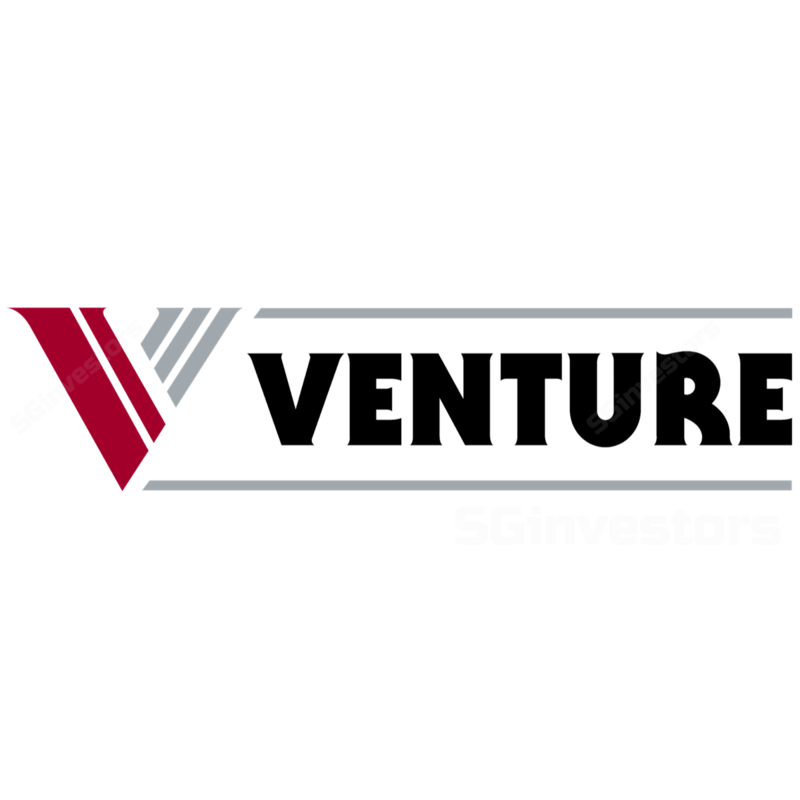 Venture’s 2Q18 net profit of S$97.9m (+40.2% y-o-y) and surprise interim dividend of 20 Scts should help instill investor confidence. Ongoing diversion of production flows from China into ASEAN also suggests that trade concerns may be overdone. Growth outlook remains positive, but could see some near- term volatility on customers’ M&A and product transitions. Maintain BUY; Target Price lowered to S$22.90. Maintain BUY with lower Target Price of S$22.90. Manufacturing-related stocks on the SGX have fallen c.10-32% YTD on the back of macro uncertainties, but insights shared during the 2Q18 briefing suggests that trade concerns for Venture may be overdone. Venture delivered a strong set of 2Q18 results, which saw a 40.2% y-o-y jump in earnings to S$97.9m on the back of margin expansion from 6.9% to 10.3%. This coupled with the surprise announcement of a maiden interim dividend of 20 Scts should help reinstate investor confidence. Underpinned by secular growth drivers and Venture’s commitment towards operational excellence, long-term growth outlook remains positive. However, some near-term volatility may arise on customers’ M&A and product/platform transitions – some customers in key industry clusters are now guiding for high single-digit growth (vs low-teens previously) in FY18F. We have cut our growth assumptions for FY18F/19F by 4%/9% and lowered our valuation multiple to 15.8x vs 17.5x previously, mainly as peers have de-rated. While we have assumed lower earnings growth vs consensus on more conservative revenue and margin assumptions, we remain positive on Venture’s unique offerings, know-how and hard-to-replicate ecosystems. New products and continued expansion into non-traditional markets with higher margins, and new customer acquisitions are potential near-term catalysts. In the medium to long term, acquisition of companies along the manufacturing value chain could increase Venture’s capabilities. Given slower growth assumption, we have lowered our valuation multiple to 15.8x (based on global peers’ average) vs 17.5x previously. Against a 4%/9% cut to our earnings estimates for FY18F/19F, this translates into a lower Target Price of S$22.90 based on 15.8x on blended FY18F/19F earnings. Weakening client or global growth prospects. A broad global slowdown is likely to impact Venture due to its vulnerability to business cycles. Potential weakening of clients’ end-demand and/or the USD could also dampen revenue growth. 2Q18 net profit up 40.2% y-o-y on margin jump. Venture delivered a strong set of 2Q18 results – profits surged 40.2% y-o-y to S$97.9m despite recording a 6% dip in revenues as net margins jumped from 6.9% (2Q17) to 10.3% (2Q18). On constant currency basis, 1H18 revenue growth would have been c.5%, vs -2.6% reported. Overall, 1H18 net profit of S$181.6m formed 43% of our FY18F estimates, which was in line. The key surprise this quarter mainly came from Venture’s maiden interim dividend of 20 Scts for 1H18. The group also alluded that full-year dividend should at least be on par with previous years’. Judging by Venture’s dividend record, we believe that the higher 60 Sct dividend declared in FY17 will be repeated (if not more) in FY18F. Coupled with the strong set of results, this should help reinstate investor confidence in the stock. Venture’s share price hit by macro headwinds. Despite being one of the best performing sectors of 2017, manufacturing / tech stocks have taken a massive beating as macro headwinds intensified. After forex concerns sparked a sell-off in April, escalating trade tensions between US-China spooked investors further – wiping off c.10-32% of SGX-listed manufacturers’ market cap YTD. Notably, companies with a larger manufacturing presence in China were worse hit. But new order wins suggest that trade concerns for Venture may be overdone. Venture and its partners. As such, the group remains confident that Venture’s existing production will not be impacted by announced tariffs. Notwithstanding an escalation of US-China trade tensions which may have broader implications for the global manufacturing supply chain, Venture is in fact a near-term beneficiary of the ongoing diversion of production flows from China into ASEAN. The group has secured new business opportunities on the back of production shifts out of China – these benefits have yet to be captured in 2Q18. Positive growth outlook but could see near-term volatility on temporary effects. Underpinned by secular growth drivers and Venture’s commitment towards operational excellence, long-term growth outlook remains positive. However, some near-term volatility may arise on customers’ M&A and product/platform transitions - some customers in key industry clusters are now guiding for high single-digit growth (vs low- teen growth previously) in FY18F. Maintain BUY; Target Price adjusted to S$22.90. Given more conservative near-term guidance by selected customers in key industry clusters, we are shaving back revenue growth projections for the group slightly. Overall, we are cutting earnings for FY18F/19F by 4%/9%. We have also lowered our valuation multiple for the group from 17.5x to 15.8x, mainly as peers have de-rated. Our target price has been adjusted down to $22.90 on blended FY18F/19F earnings. Maintain BUY.